WOODY Allen's latest movie, A Rainy Day in New York, may never be released due to the sexual misconduct scandal engulfing the director. The film, which is due to be distributed by Amazon later this year, will either not come out or get dumped without any theatrical release, sources told The New York Post. The one thing Allen has always had going for him - his ability to attract Hollywood's brightest and best names - might be over. The Post is reporting that Allen is even having trouble casting his new film. 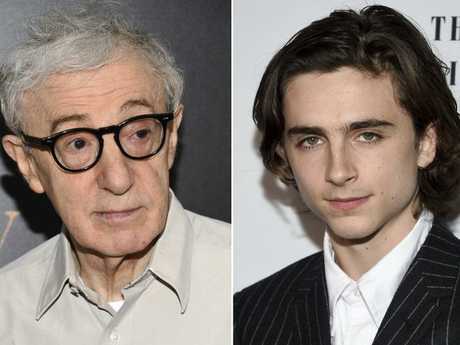 Woody Allen’s latest film starring Timothee Chalamet — who has distanced himself from the actor — may never be released. Several of the stars of Rainy Day have distanced themselves from Allen. Timothée Chalamet announced that he will donate his salary from the movie to charities for victims of assault. Co-star Selena Gomez is reportedly donating her payment to #TimesUp, as is Rebecca Hall, who has acted in two of the director's works. Dylan Farrow, Allen's adoptive daughter with former partner Mia Farrow, has reiterated her allegation that the Oscr-wining idirectror molested her in 1992 when she was aged seven. 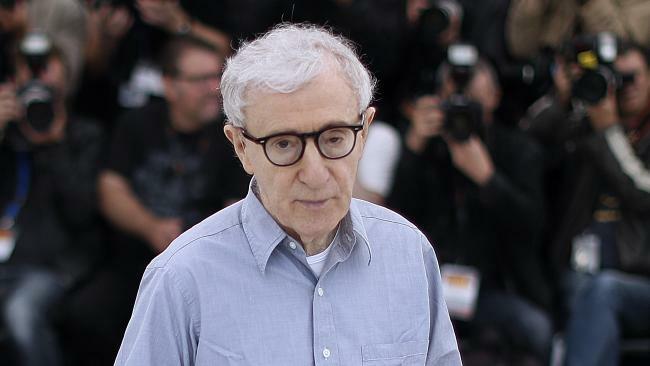 Dylan Farrow alleges Woody Allen molested her at the age of seven. Allen has denied the allegations and in 1993 a court found "no credible evidence" to support the girl's claims. Complicating matters even more was the fact that, around the same time, Allen had an affair with Mia's adopted daughter Soon-Yi Previn, then 19 years old, who would later become his wife. 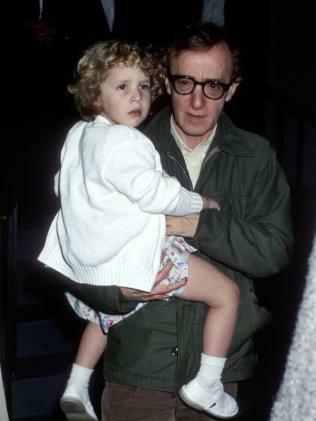 Dylan Farrow as a child with her adoptive father Woody Allen. But in the #MeToo age - which broke out after Allen's son, Ronan, helped expose movie mogul Harvey Weinstein as a sexual predator in the New Yorker this past October - there's no ignoring the situation. Stars are now forced to declare whether they stand with Allen or against him. And those who don't choose a side risk being publicly shamed, The New York Post says. 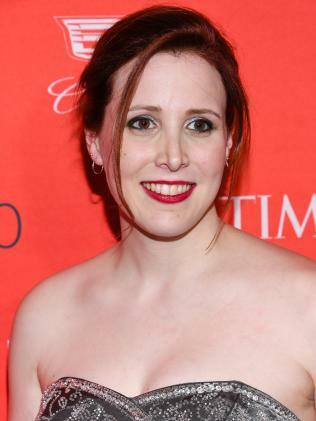 In her first TV interview about the sexual abuse allegations, Dylan Farrow accused Allen of taking her into an attic and assaulting her in 1992, when she was seven years old. Allen has repeatedy denied the allegations. 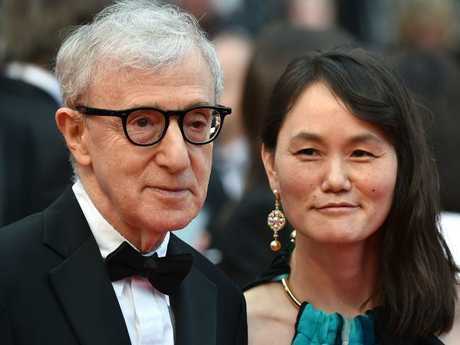 Woody Allen and his wife Soon-Yi Previn, who was adopted as a child by Mia Farrow. In an interview with CBS This Morning co-host Gayle King, Farrow maintained she was telling the truth. "I am credible and I am telling the truth and I think it's important that people realise that one victim, one accuser, matters. And that they are enough to change things," Farrow told King in the interview, which was recorded her home in Connecticut. During the fallout of the Harvey Weinstein sexual misconduct scandal, Farrow penned an op-ed for the Los Angeles Times, asking, "Why is it that Harvey Weinstein and other accused celebrities have been cast out by Hollywood, while Allen recently secured a multimillion-dollar distribution deal with Amazon, greenlit by former Amazon Studios executive Roy Price before he was suspended over sexual misconduct allegations?"